Watch yourself in the mirror occasionally to adjust your shape, line, alignment or spacing. Sometimes it helps to decide on one dance element you want to work on during class and use the mirror only to correct that one thing. 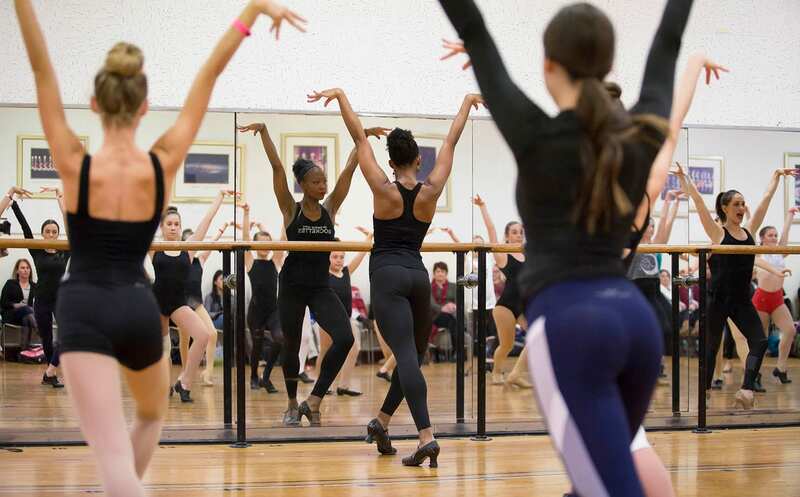 Watch classmates only to learn from them and apply what they do well to your own dancing. Use the mirror to get an overall picture of what the choreography looks like, or to learn a phrase of movement more quickly. Shift your focus toward points relevant to the choreography or in the direction you are moving just as you would on stage. Intentionally stand in a part of the room that limits your use of the mirror.